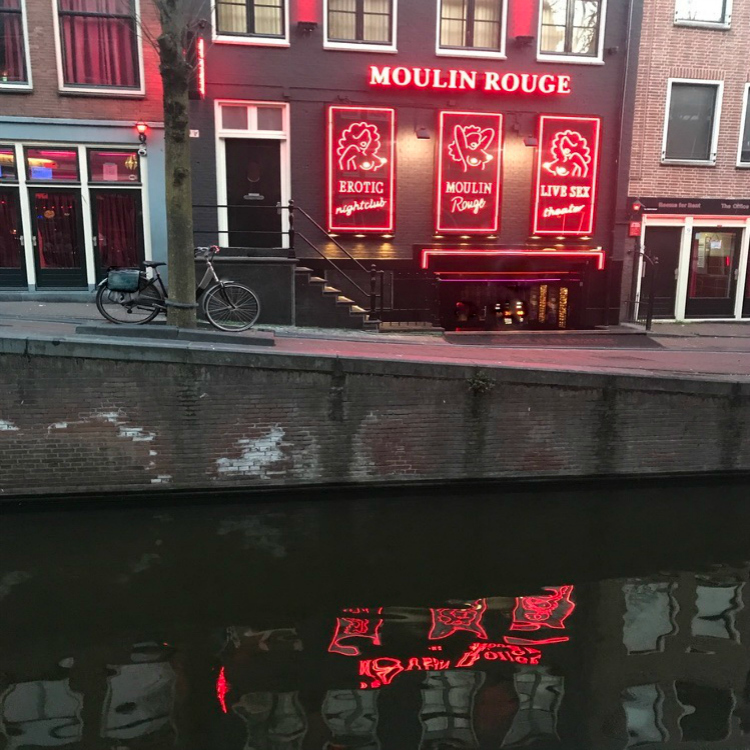 Amsterdam was exactly how we’d imagine it would be! 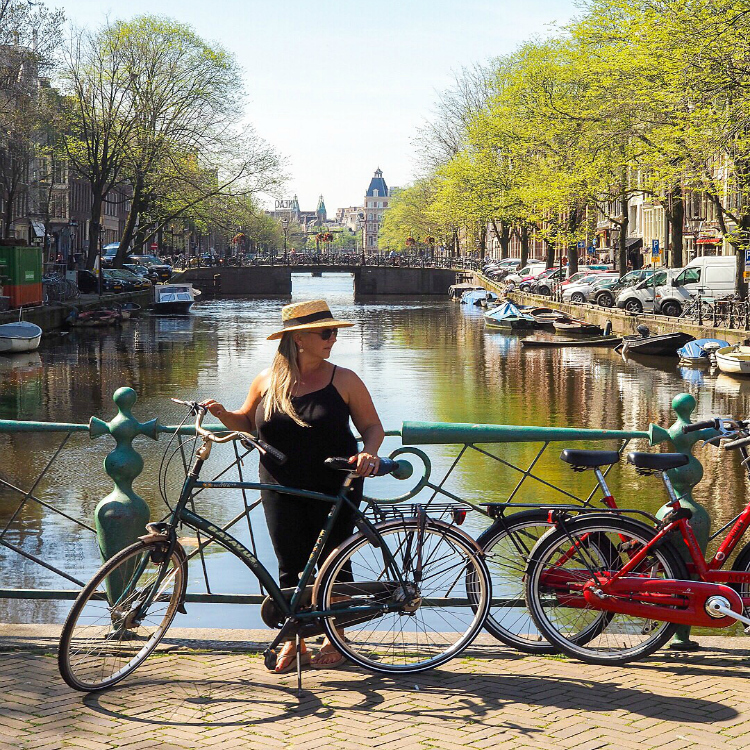 That isn’t always the case when you have stereotype images in your mind, along with preconceived ideas on the place you are about to visit – but Amsterdam was picture perfect, as expected! Buzzing with life the busy canals, the busy streets, the busy cafes, the busy squares all make up for a very fun and vibrant place to visit! 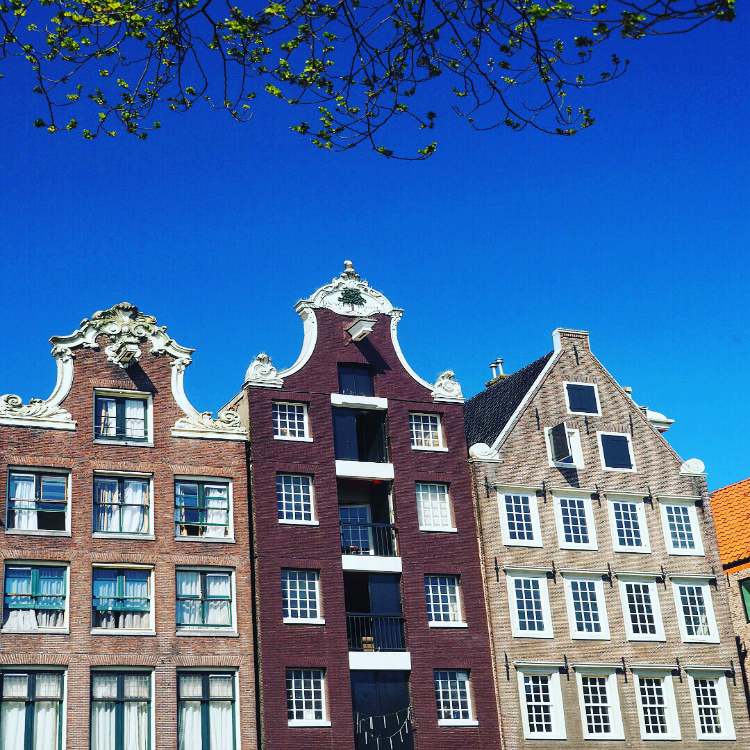 The architecture is chocolate box perfect on many of the streets too! 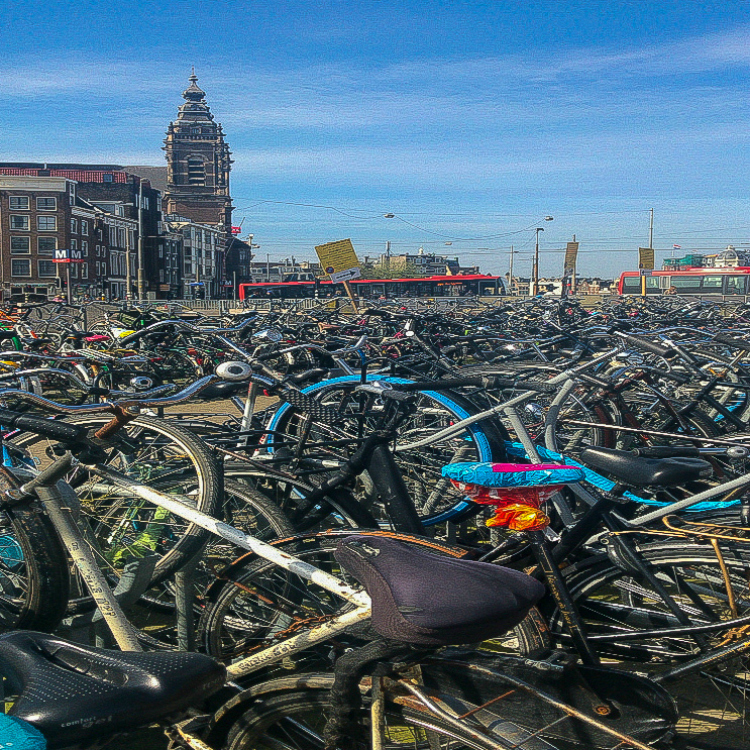 And even though you know you are going to see more bicycles in one place than you’ve ever seen before – well there are more bicycles than even that !!! It was extraordinary and wonderful to see how the cycle traffic just flowed around the city in such a calm and laid back way. The bicycle parking areas were crazy though and we have no idea to this day how anyone would find their bicycle again after parking up!! 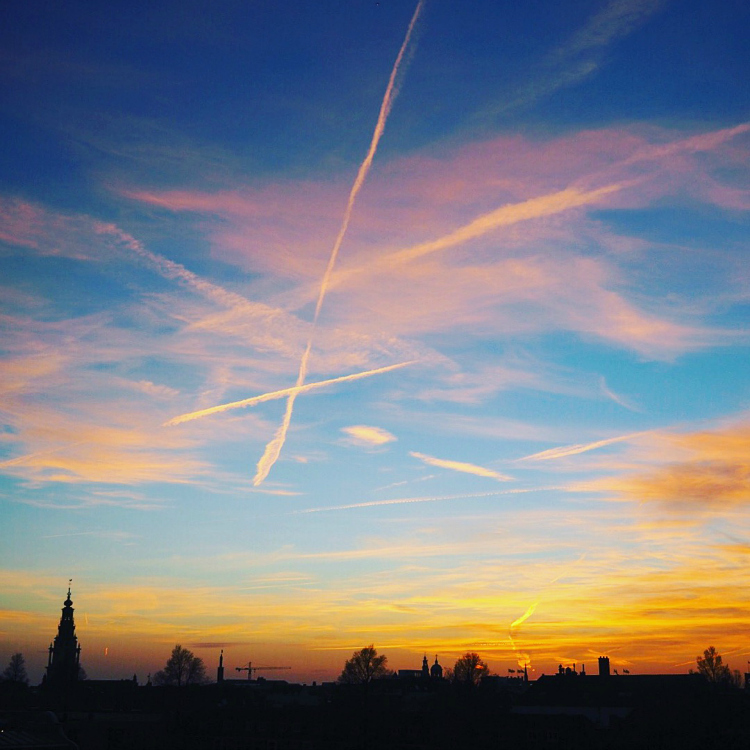 We however chose to walk, wander, get lost and stroll … this city is very much made perfectly for all of that too! 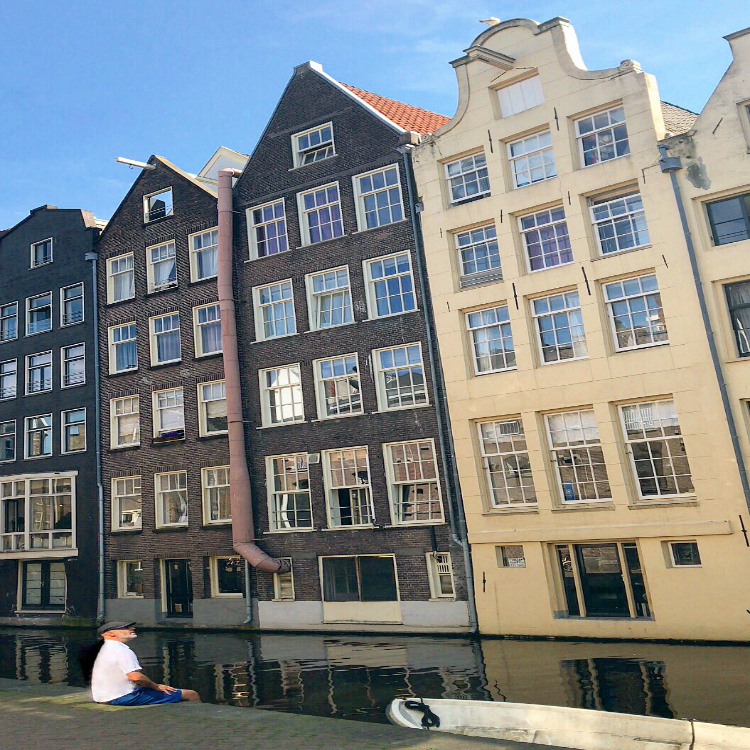 The cobbled streets with their towering converted warehouses were so beautiful and when you add in the waterways, reflections and atmosphere it really does make for a pleasant time spent. Also we loved the fact that some of the boats and barges were made into floating bars that can be hired out and very popular they were too! 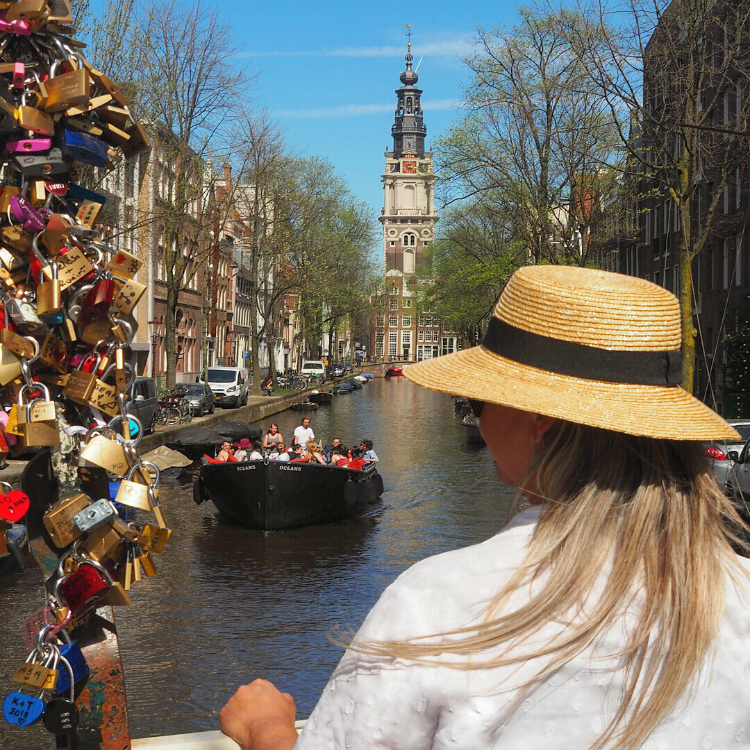 Meandering through the canals on one of these boat bars, with a refreshing drink in hand, is our kind of lazy but very civilised way of sightseeing!! 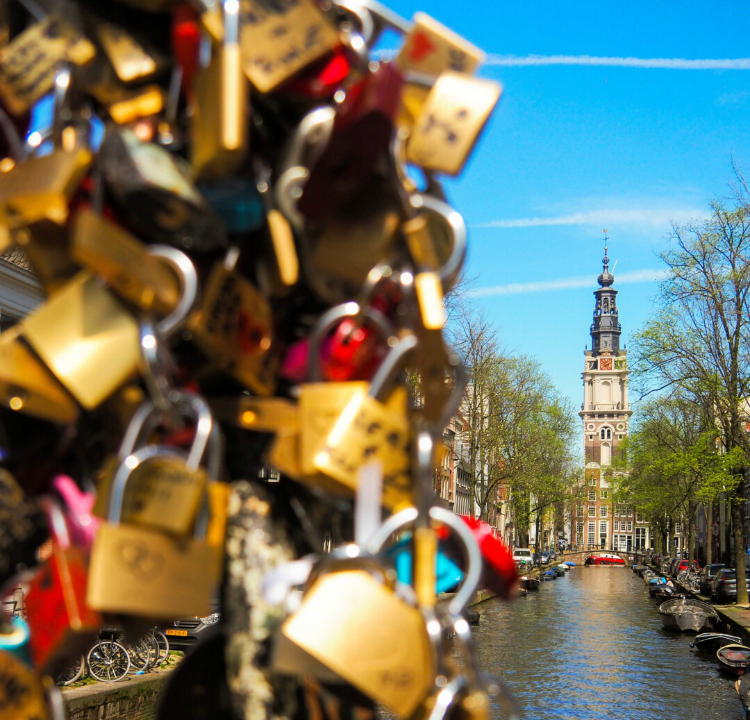 To go in Spring, as with most European cities, really is the best time to visit. 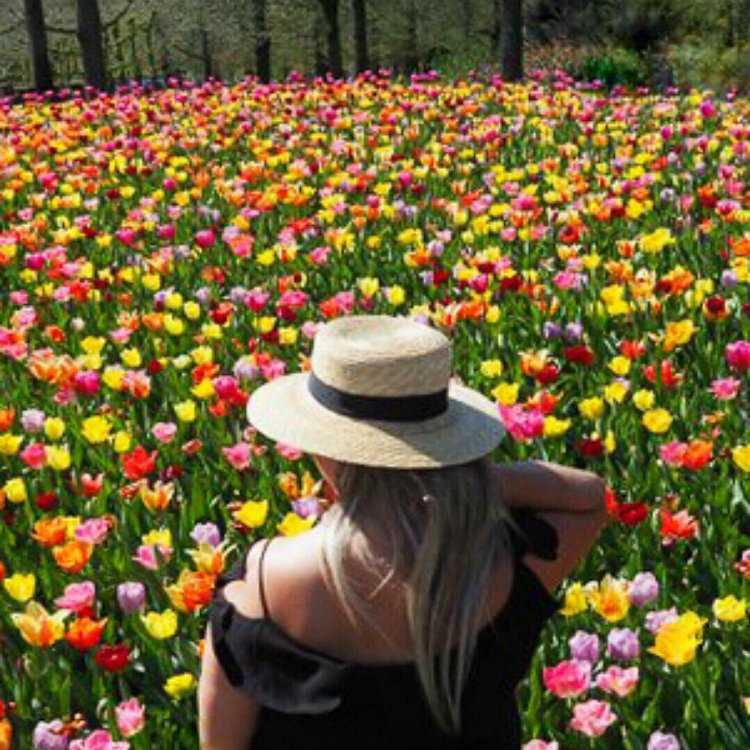 Not only are the blossoms and flowers out in full force in the streets but around Amsterdam it is also prime time to visit the outskirts and witness the tulips! 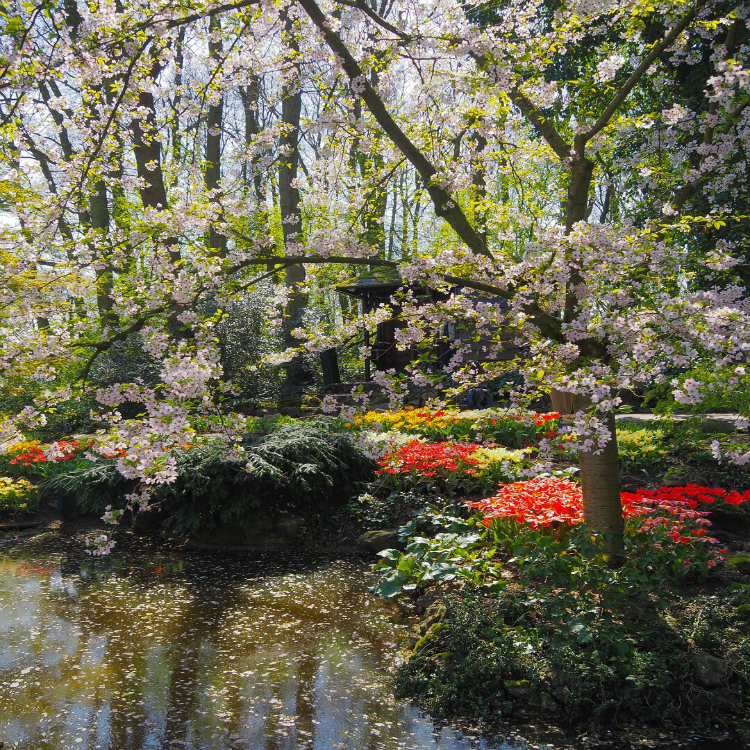 We chose to visit Keukenhof which is the world’s largest flower park with over 7 million flowers. It’s very easy to get to as you take the train to the airport where you can then pick up no end of buses that drive you a further half an hour to the park entrance. It is incredibly picturesque and cleverly laid out with many colourful arrangements and landscaping to marvel over. 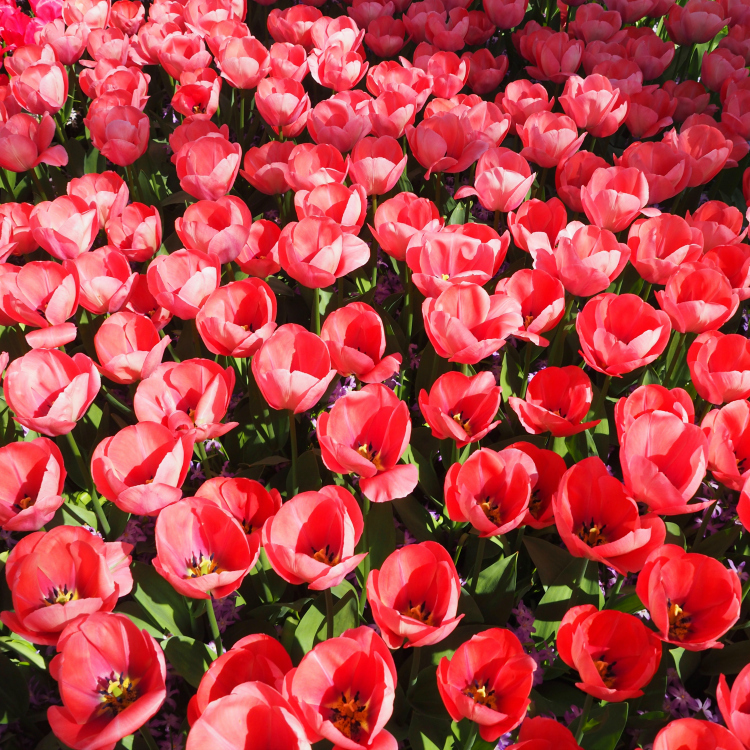 To see the actual miles of tulip fields you don’t need to enter the park – just hire a bike and explore the surrounding areas with the most well known being Lisse! 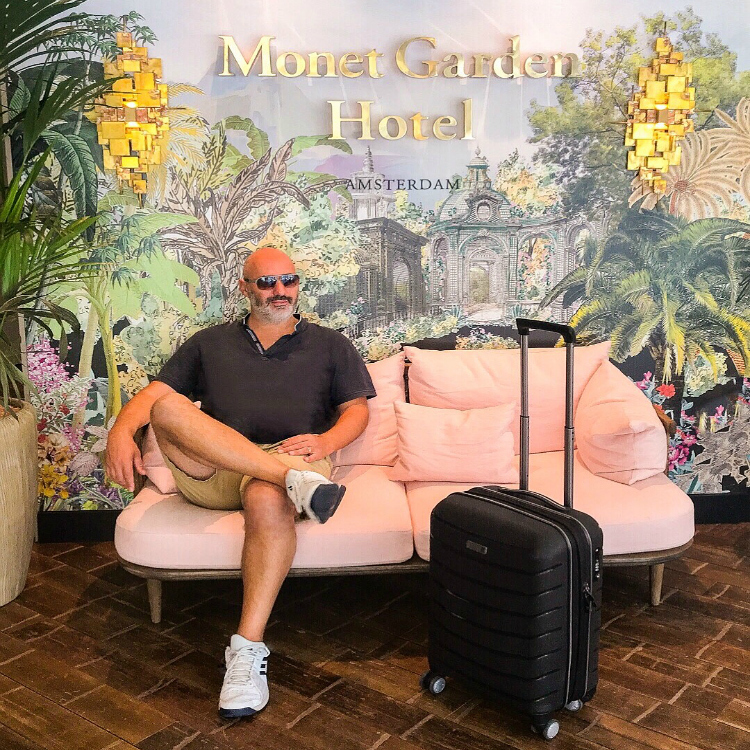 We have to say that at times it was great to get back to our oasis of a boutique hotel Monet Garden! In such a central location but actually on a quiet street it was calm, tranquil and very comfortable – exactly what you need after a day of cobble street walking, dodging cyclists, squeezing by lots of people on the narrowest of pavements and just generally moving through hustle and bustle … it was a delight of a hotel to take a breath! 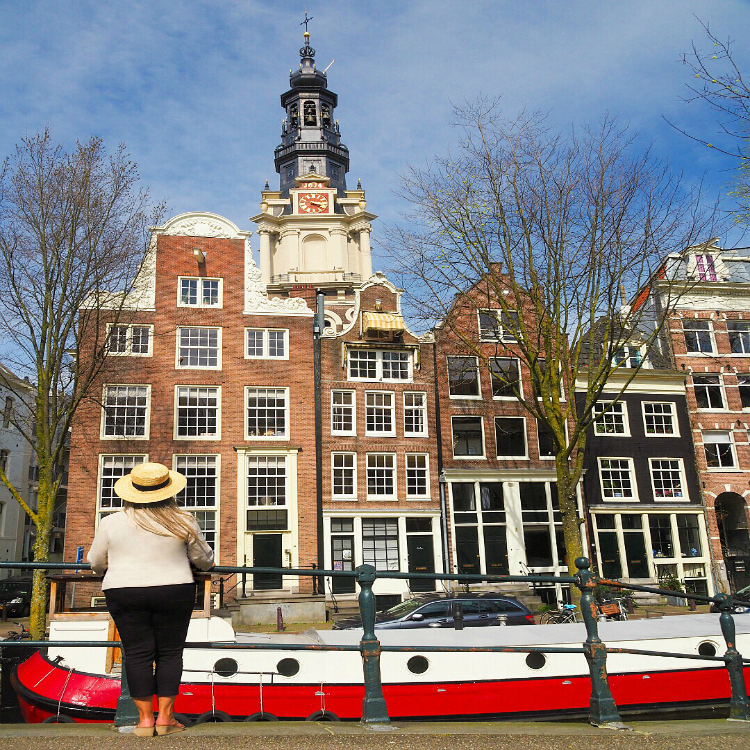 All in all we had a lovely few days in Amsterdam but it didn’t steal our hearts as much as other places have … however we may be tempted back just so as to lie on one of those barges, with a G&T in hand, and watch the pretty city roll by one more time! Your information on Amsterdam was very helpful. 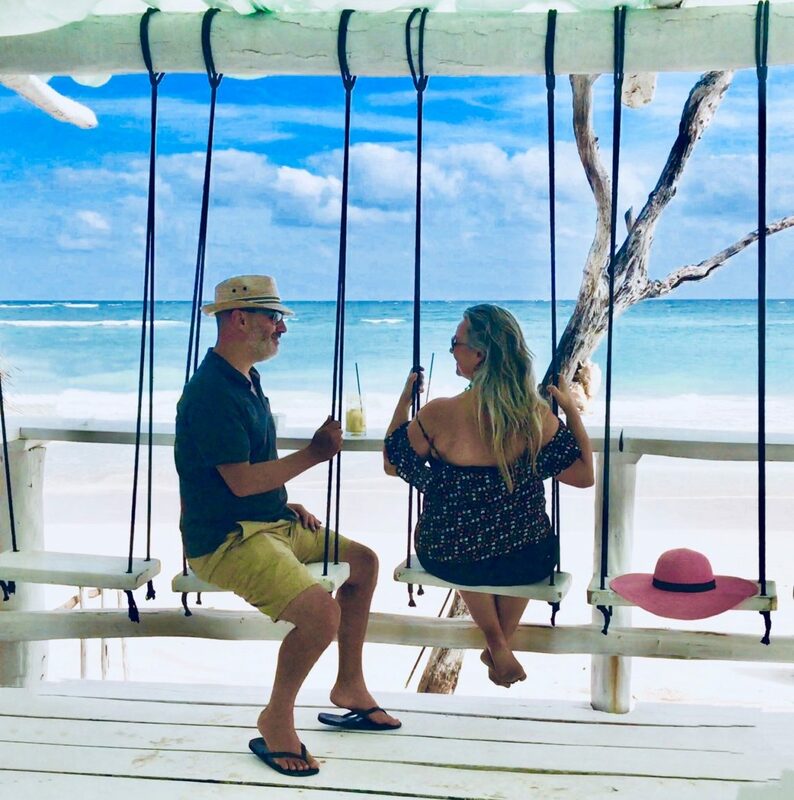 We will be there for 3 nights after returning from a cruise on July 8, 2019. I have been trying to get reservations at the Monet Gardens for over a month and it appears that the rooms have not been released for the summer. I think it is because they are planning an anniversary celebration. I have e-mailed the hotel for information, but no one has gotten back to me. Do you know anything about this?